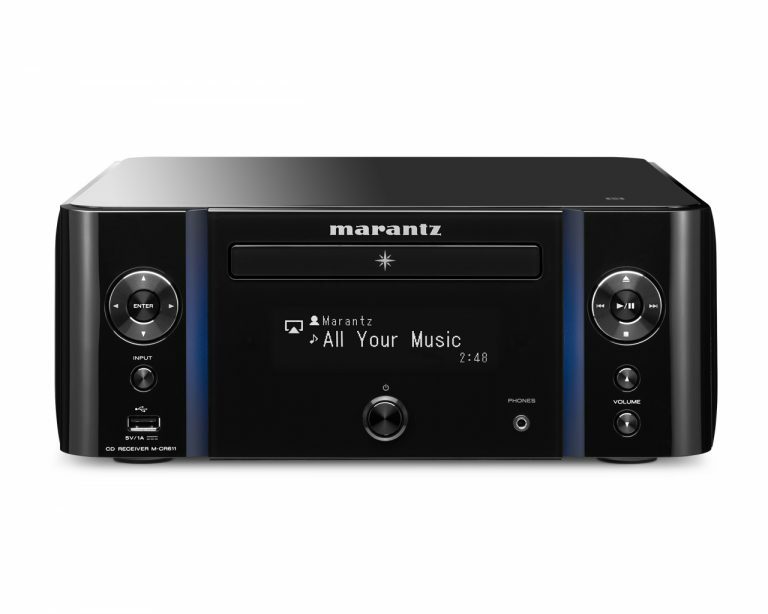 Featuring a broad range of listening and streaming options, the Marantz M-CR611 Network CD Receiver is now equipped with both Bluetooth and Wi-Fi wireless audio streaming functions including Apple AirPlay, and features popular streaming services including Pandora, SiriusXM and Spotify, along with delivering thousands of internet radio stations from around the world. 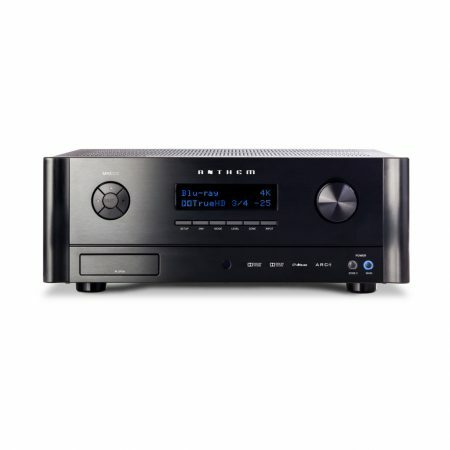 The M-CR611 features a built-in disc player that’s compatible with music CDs, CD-R and CD-RW recordable and erasable discs and is also equipped with an AM/FM tuner. Featuring 4 high efficiency digital audio amplifier channels, the M-CR611 lets you connect 2 pairs of loudspeakers, and now features the ability to control the volume level of each speaker pair independently. 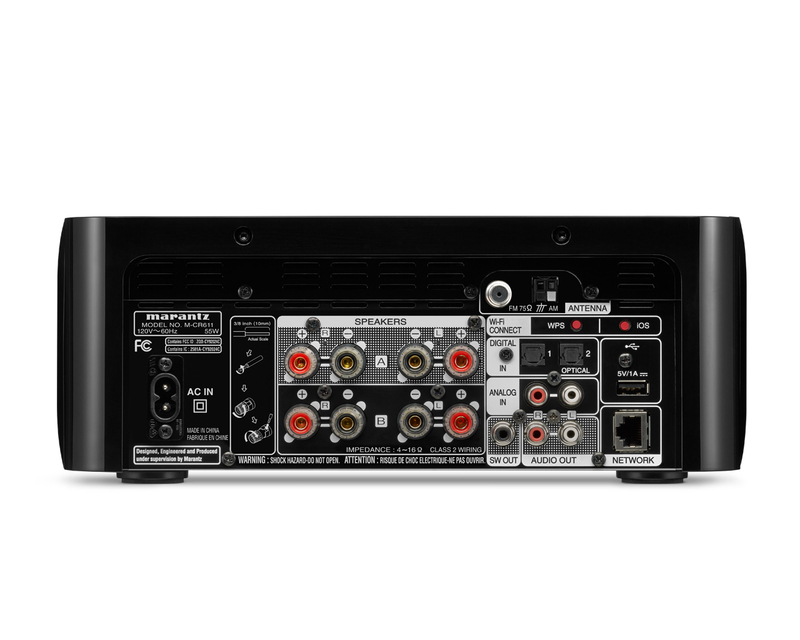 You can also configure the M-CR611 to drive 1 pair of speakers with double the power output, or drive a pair of bi-amp compatible audiophile speakers. The M-CR611 comes with a deluxe ergonomic remote control and is fully compatible with the Marantz Remote App, which is available in iOS and Android versions.